South Africa: Avoiding the siren's song: will Operation Phakisa deliver prosperity? Avoiding the siren's song: will Operation Phakisa deliver prosperity? South Africa, and Africa in general, has yet to see the benefits of a maritime economy. Increasingly though, South Africa is making efforts to profit from its position at the southern tip of the continent, half-surrounded by the South Atlantic, Indian and Southern Oceans. To this end, it initiated Operation Phakisa in June 2014. The aim of the operation is to create development and wealth by exploiting what planners see as an untapped bonanza of maritime resources. Its initial results were exhibited at an open day in Durban on 15 October, followed by an in-depth discussion at a conference convened by both civil society and government, held at the Department of International Relations and Cooperation from 18 to 19 November. At the Durban open day, South African President Jacob Zuma said the fast-tracking of various maritime initiatives, which were outlined in the National Development Plan (NDP), could see South Africa attaining a 5% growth target by 2019. Prior to this event, various maritime experts and stakeholders had been invited to attend a series of government-hosted workshops or ‘labs’. These labs produced detailed plans for four maritime focal areas, namely marine transport and manufacturing; offshore oil and gas exploration; aquaculture and marine protection services; and ocean governance. Zuma said that successfully implementing these plans would create approximately one million maritime-related jobs, as well as add R177 billion to South Africa’s Gross Domestic Product by 2033. 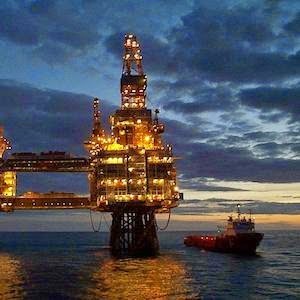 Of the four areas, the announcement that nine billion barrels of oil and 11 billion barrels’ equivalent of natural gas lie within South Africa’s Exclusive Economic Zone (EEZ) is attracting the greatest interest. The indicated and tentative reserves are equivalent to 40 years of South African oil consumption, and 375 years of gas consumption. However, making a profit in such a capital-intensive sector without creating environmental harm will not be easy. Operation Phakisa remains relatively unknown outside maritime-related circles, yet it represents the coming together of three major local and global contextual factors, which relate to developing and governing a maritime economy. Firstly, it is modelled on a similar Malaysian project, where the government initiated the so-called ‘Big Fast Results’ methodology as an approach to development. Large development plans, which detail growth targets for sectors such as fishing or mining, are continually and thoroughly assessed to measure their outputs and gauge their success. This example has borne enough fruit to encourage similar approaches in South Africa. Secondly, the NDP provides the operational framework that highlights why Operation Phakisa is so important. Chapter 4 on South Africa’s Economic Infrastructure notes the weak capacity of South African maritime industries, as well as the need for a reappraisal of opportunities for growth. Maritime skills and education are identified as a priority to complement and expand existing educational facilities in South Africa and on the continent. This cannot, however, be funded by states or industries alone. Instead, significant local and international private investment will be required, likely through innovate public-private partnerships (PPP). The level of political interest and will demonstrated in Operation Phakisa so far encourages hope that it will remain a priority, especially given that this political interest comes from The Presidency itself. This is important, as initiating changes in the South African maritime industry has proven difficult in the past. A South African Maritime Chamber of Commerce and Industries was established in 2011, but has had no tangible results so far. South Africa also aims to move into the commercial maritime shipping industry, given the astounding, almost paradoxical situation where no commercial vessels fly South Africa’s flag, despite the country’s complete dependence on shipping for almost all of its imports and exports. This leads to the third contextual factor, which is that this phase of Operation Phakisa also derives from the need to develop an African blue economy – a neglected economic area in the past, and a promising place for prosperity in the future. South Africa’s experience in this regard could contain valuable lessons for other African countries. The blue economy – which refers to wealth generated from maritime industries – remains conceptually underexplored. Nevertheless, it has formed the basis for research and policy-making that has, to date, culminated in the African Union’s Africa’s Integrated Maritime Strategy (AIMS 2050), which was adopted early in 2014. The expected impact of Operation Phakisa is undeniable, but success also depends on a number of factors beyond South Africa’s direct control. The environment, in particular, needs to be carefully considered. This concern has prompted the prominent role of the Department of Environmental Affairs (DEA). Operation Phakisa promises to be a source of good news for South Africa, but that does not mean it is exempt from criticism and concern. From an environmental perspective, it is both reassuring and concerning that the DEA is leading the project. Reassuring, for it shows that the investment of resources into the oceans – which will have an irrevocable effect on both the maritime domain and the economy – should be determined by environmental concerns. The DEA has recently produced a green paper on environmental ocean governance, which follows from a 2012 white paper. Zuma has also discussed an Oceans Act. This would be a considerable piece of legislation, and it may not be produced easily or quickly. This is also concerning, because a harried DEA would then effectively have to oversee the rapid industrialisation of maritime resources in a short space of time. Operation Phakisa promises much, and is contingent upon evidence of success. Yet a hurried project, even devised in this format, might still be inadequately planned. This would ultimately lead to greater costs and could cause harm to the environment. Meaningful results that improve human security are expected, and people’s appetites have been whetted at high-profile launches. It is too early to tell how many of the envisioned projects would actually be implemented, nor is it clear how they will be funded – especially considering how many African maritime plans seem more like wish lists than practical strategies with clear targets and outcomes. Ultimately, the idea of a blue economy revolves around costs and benefits, and success depends upon a great number of initial investments: sunk costs – that could, effectively, have otherwise been spent on competing socio-economic needs. Hopefully Operation Phakisa doesn’t succumb to challenges that could cause it to ‘sink’, lest it take with it the promise of not only a South African, but also an African blue economy.